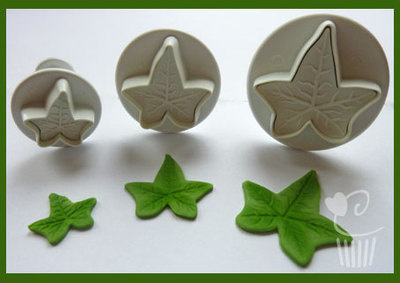 Classic Ivy Leaf Cutters for traditional designs. Make these leaves into contemporary designs without using the veining function. Dry on a foam tray for added dimension and brush with blossom tint for depth of colour and detail.